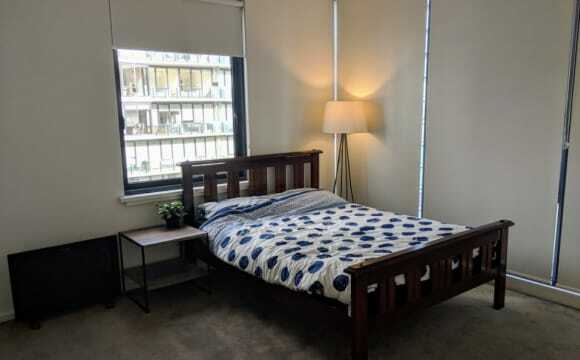 -Clean and spacious living room and private room -Furnished Room (Bed, bookshelf, side table) -Apartment has a Gym, 30m Swimming pool and Tennis Court -1min walk to Tram stop 58 and 5mins walk to Trams along St Kilda RD -Cafes and restaurants nearby (Don Don, Mr Margarita etc) -Balcony -Dining, Laundry and Kitchen facilities -Heater in the living room -5-10min walk to Botanic gardens and Albert Park Lake Correction: Bond is NOT $800. For further information please contact me. 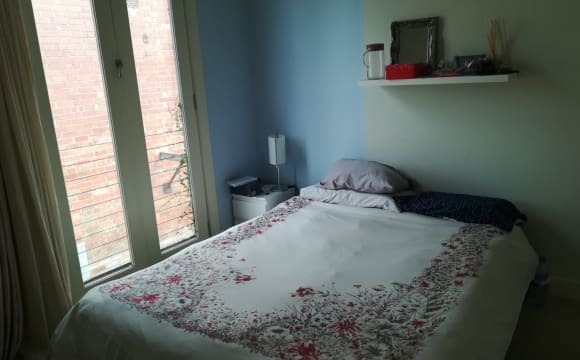 The second bedroom in my two bedroom apartment in south Melbourne is becoming available from the 28th of this month. The room is furnished with a double bed/bedside table, has a built in wardrobe with double mirrors and plenty of natural light. The apartment is located between Kings way and St Kilda road on bank st so plenty of options for trams. We’re also walking distance from the botanical gardens, coles/woolworths, south Melbourne markets and its only a short walk into the cbd or quick tram. The apartment has one bathroom with a euro styled laundry, gas cooking, a balcony and car space. The building has a indoor pool, tennis court and small gym with weights/treadmill and Pilates reformer machine. Bond is $1800 and rent is due on the 12th of every month and is $1300 per month excluding bills but including WiFi. This site wouldn’t let me do the monthly rent and 6 week bond so those prices are the exact prices. Amazing proprieties, this is a duplex, good location ( south Melbourne ) 10 minutes to the center, beside South yarra and Saint kilda. Tram station in the front of the apartment. Close to clarendon street ( there are lot of shop, restaurants etc). This is a new building, the apartment is all new too, really clean. There is a parking off street, all the bills are include. Bond is 4 weeks rent, and rent is 400 p/w. There is only one flatmate in the apartment. 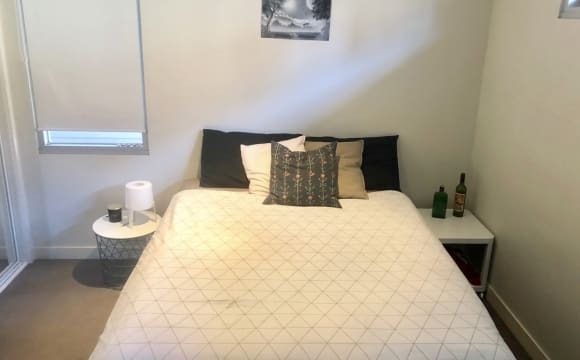 Couple are welcome, or roommate if you want to share the room. There is two room available and there is a share bathroom for this two. The address is actually Albert Park, but I'm very close to South Melbourne Market, the park, Albert Park village, 3 tram choices and MSAC. Whole house is furnished, all bills/maintenance etc included in rent. Large house, very spacious. 3 bathrooms, two with showers. Two large furnished communal lounge and a large modern kitchen and lots of storage space. We have a large balcony perfect for sunbathing and relaxing with a beer on the weekend. The room available and the house has AC. Right next to the South Melbourne markets, a large Coles and just a short walk into the city. 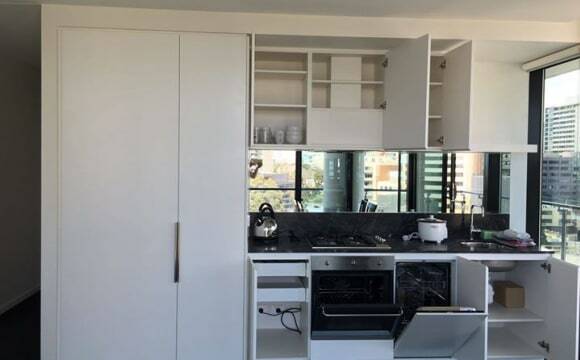 Good sized double bedroom with storage cupboard and shelf. Large doors that open to create light area. If interested feel free to get in touch to have a look around! Private room with shared bathroom. 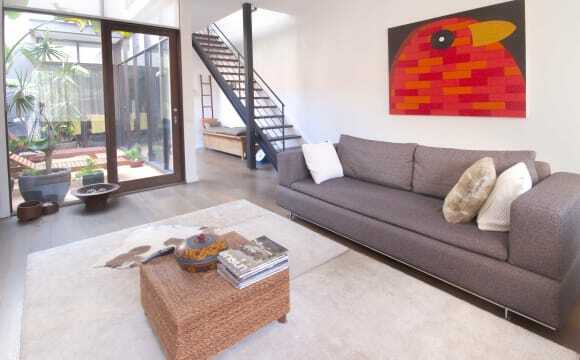 The house has two big living rooms, a patio with plenty of natural light and air-conditioner. The room it's located in the top floor, with a queen size bed and a big build-in wardrobe. Rent is $350 pw. (Bills included in rent - internet, gas, water, etc). Payment is made on the 8th of each month (So monthly payments). Bond is $500. Lots of cafes, restaurants and bar options just a couple minutes away. And trams 1 and 12 right around the corner. We have a bedroom available from the 2nd of April that could be taken for single room or also for couple as well. We are requiring a minimum of 3 months stay. 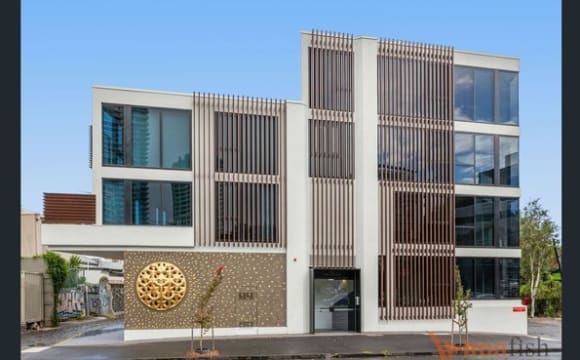 Location is a really highlight of this building, situated at the heart of South Melbourne, being literally across the street from the vibrant South Melbourne Market. 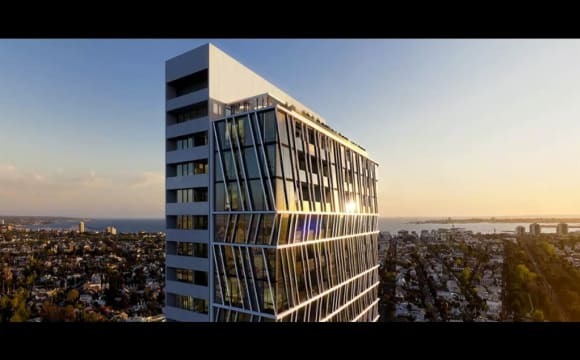 Some other great points about the location: 🚊 10 min by tram to Southern Cross Station 🚊 15 min by tram to St Kilda beach The 96 tram stop is literally less then a minute walking down the stairs, but you don’t have to worry about tram noise cause the apartment is on the other side of the building. 🚶4min walking to Woolies, Coles and Aldi. 🏋️ gym 24h just 3 min walking 🚦3 stops to Albert Park 🥘 lots of cafes, restaurants and bar options just a couple minutes stroll away, being also really close to Clarendon street and obviously it’s wide variety of shops and the 12 tram, also a 5 minute walk to number 1 tram. It’s an AMAZING area where you can find everything that you need. The apartment has a big living room with plenty of natural light and air-conditioner, a big balcony, a kitchen, two bedrooms and one bathroom with a Bathtub and a shower. The bedroom doesn’t come with furniture apart from an in-built robe and a clothing rail could be provided, however, we are willing to help pick up furniture with a car. 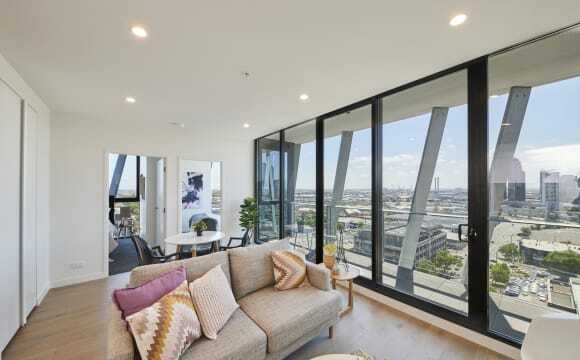 An exceptional location on the very edge of the CBD puts you right in the heart of the best that Melbourne has to offer – from the beach to the Botanic Gardens, city laneways to the MCG, fresh food markets to high-end fashion. Discover the dining, entertainment, leisure, and lifestyle opportunities you’ve dreamed of having on your own doorstep. With a striking façade and the amenities to match including: - Rooftop cinema and garden with seating. - Outdoor BBQ, teppanyaki grill and hot tub. - Indoor dining room. The apartment also features: - Bosch dishwasher. - Reverse cycle heating and cooling air conditioning. - Laundry and dryer. - Semi-private bathroom. - European Oak timber flooring. - Kitchen utilities The building also has a safety fob and key access and is just moments from the famous South Melbourne market, tram no 96 &amp; 109. A traditional double fronted weatherboard home, with a combined generous living area and modern kitchen. Also includes reasonable sized paved courtyard, and recently renovated bathroom at rear, which are both well separated from bedrooms. The combined kitchen and living area includes cosy timber detailing, a fireplace (not to be used) and many quaint details reflecting the history of the home. With Clarendon Street on the doorstep the home is surrounded by local bars, pubs, shops, restaurants, and even a Coles, all while living in a quiet neighbourhood. A 2 minute walk from the home you'll find both the number 1 and number 12 trams, which provide a 5-10 commute into town or the beach. A 5 minute walk from the home and you'll be at the South Melbourne markets or Albert Park lake. A 10 minute walk from home and you'll be at the Shrine or Remembrance and Botanical Gardens. It is a brand new apartment and we were the first tenants and have been here since April 2018. Rent is $1350 per calender month. 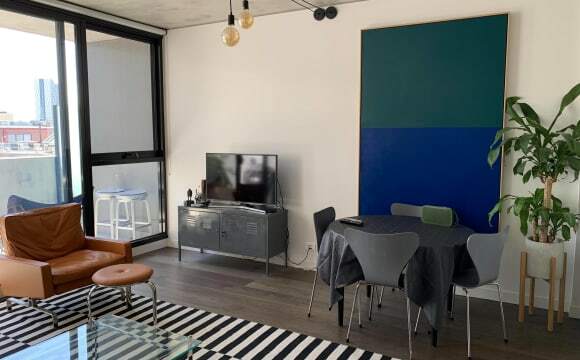 The apartment is located right next to the South Melbourne markets, a woolies, coles and a bunch of bars and food places. It is close the 96, 1 and 12 trams so its easy to get anywhere! The balcony and lounge get all day sun. The house is fully furnished except the bedroom. Its a queen bedroom with a double wardrobe and ensuite . An exceptional location on the very edge of the CBD puts you right in the heart of the best that Melbourne has to offer – from the beach to the Botanic Gardens, city laneways to the MCG, fresh food markets to high-end fashion. Discover the dining, entertainment, leisure, and lifestyle opportunities you’ve dreamed of having on your own doorstep. With a striking façade and the amenities to match including: - Rooftop cinema and garden with seating. - Outdoor BBQ, teppanyaki grill and hot tub. - Indoor dining room. The apartment also features: - Bosch dishwasher. - Reverse cycle heating and cooling air conditioning. - Laundry and dryer. - Semi-private bathroom. - European Oak timber flooring. - Coffee machine &amp; juicer The building also has a safety fob and key access and is just moments from the famous South Melbourne market, tram no 96 &amp; 109. 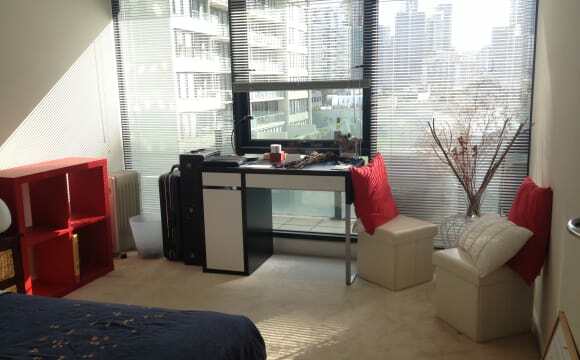 Luxury Fully furnished one bedroom apartment next to MELB UNI (For Fully furnished pictures, please enquired.) This New townhouse comes with UTILITIES and WIFI fully included. Price: $1100/week - Price includes utilities and wifi Availability: 15 April Rental Length: Minimum 4 months Bond Requirement There will be $200 deposit for less than 1 month lease 1 week rent deposit for 1 to 3 months lease 2 weeks rent deposit for 3 to 6 months lease (including 3 months) 4 weeks rent for over 6 months lease (including 6 months) All the deposit will be logged in RTBA Local facility Convenience Store Bus Stop Grocery Store Offering a city residence surrounded by Melbourne's best parks, restaurants and cafés, the Townhomes offer luxury living in an exciting location. All homes come with air conditioning/heating and plush carpets to all bedrooms and double glazed windows throughout with secure parking. The magnificent city skyline views are simply amazing from the town homes. Large Modern home in fabulous location. Open plan, high ceilings with 2 bedrooms and 2 bathrooms and 2 courtyards. Excellent location to city, trams cafe, restaurants and beach. Walking distance to Albert park village. Wifi, plus Sonos surround sound system. Air conditioning in all bedrooms, new Smeg oven and dishwasher (not shown in pics) .